Program management emerged as an extension of project management in the late 20th Century. This extension came from the increasing complexity of the projects, increasing importance and necessity of linking projects with the strategic objectives and increasing number of interrelated projects to be managed simultaneously. Let’s begin by defining what program management is. Merriam Webster Dictionary defines a program as “a plan or system under which action may be taken towards a goal” whereas PMI defines it as “related projects, subsidiary programs, and program activities managed in a coordinated manner to obtain benefits not available from managing them individually.” I would suggest defining it as a program is a collection of various components each having their own goals aiming to create and execute a mindset to realize benefits and obtain a synergy. The components mentioned in this definition can be projects, portfolios, and operations. The program is expected to focus on how to obtain benefits by managing these related components in a coordinated and effective way. A growing organization cannot escape from the increasing numbers of projects and complexity. Program management provides these organizations with a new system to overcome this complexity by managing related projects in a coordinated way and creating benefits which could not be created otherwise. In today’s dynamic environment and fierce competition, solely projects and their products cannot be sufficient to reach the defined company-wide goals and strategies. The defined and realized benefits as a result of the programs will be the crucial approaches for the organizations to achieve their vision. Program strategy alignment: This domain mainly aims to align project benefits with organizational goals. It includes the Program business case, charter, roadmap, environmental assessments, and program risk management strategy. Program benefits management: Benefits are identified, analyzed, planned, delivered and then sustained within this domain. Program stakeholder engagement: Stakeholders are identified and analyzed within this performance domain so expectations can be managed. Program governance: This domain aims to establish a framework to support the program by enabling program decision making and providing a monitoring process so that it ensures the program is managed effectively. Program life cycle management: This domain includes three major phases, namely, program definition, program delivery, and program closure. 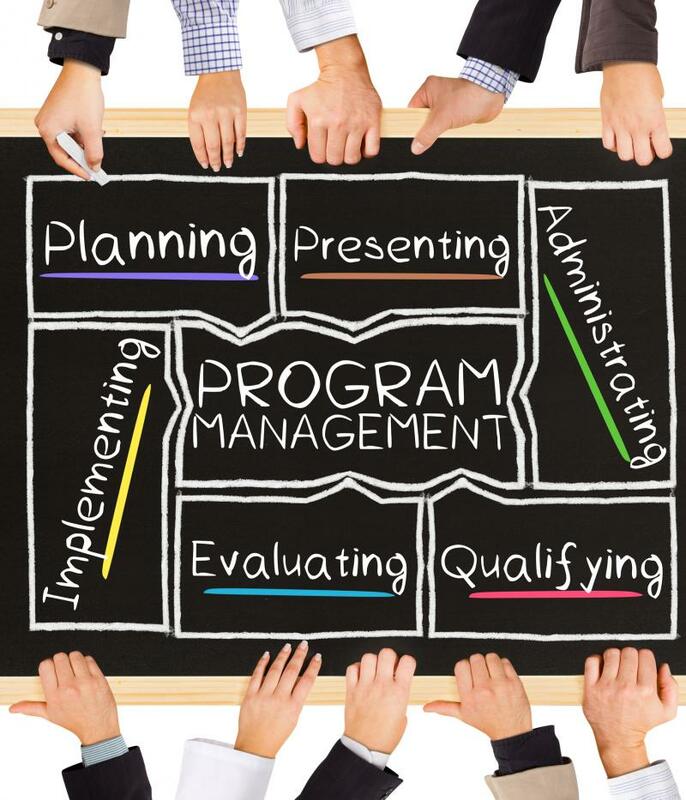 Program Manager identifies program outputs and outcomes to provide benefits; defines, creates and delivers these benefits; ensures that these benefits are aligned with the strategic objectives; identifies and analyzes stakeholder needs and manages their expectations; establishes platforms to perform program decision making; and manages all program activities from program definition and delivery to program closure. Sometimes organizations may name large projects as programs or programs as large projects. Moreover, subprojects may be defined under projects. The main differentiator for these terms is “the benefit” as the definition of the program implies. If an organization aims to obtain benefits that can not be gained by individually managing projects but managing these related projects together, then a program should be defined. On the other hand, having various related projects that do not need to be managed under a program if the organization does not expect to have a benefit to be gained by managing them together. The program manager should have a broader perspective compared to a project manager. A project manager is delivery and result oriented as the projects are expected to be completed on time, within budget and scope whereas a program manager is benefit-oriented as the programs are expected to deliver benefits. Program management also provides a system to overcome increasing complexity. As the organizations grow so more opportunities are missed and fewer benefits can be identified. As the number of components and their interactions increase, less time is spent on value-added activities. The program management helps to focus on more value-added activities by decreasing this complexity. Managing a program aims to focus on benefits; hence organizations starting programs will be able to identify and implement more benefits. Then why miss the benefits, let’s catch the benefits by the help of the programs! The people… always be a leader. A program manager is generally seen at the top of the career path of a project manager. Although project management experience is important, it’s not absolutely necessary to have it to become a program manager. Portfolio management experience is also a plus to becoming a successful program manager. PMI’s PgMP certification is the most popular and recognized one for a program manager. There is a limited number of university-level courses, and very few training courses are offered considering the organizations need for this role. Hence, generally, organizations prefer to train their program managers by using on-the-job training. In the near future, as the complexity of organizations and the fierce competition between organizations increases, there will be more and more demand for the program managers. In order to catch this opportunity, look for the training and try to obtain the related certifications for program management. Find more content on Program Management! 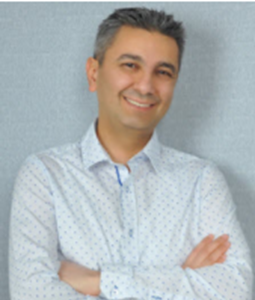 Mustafa Hafizoglu, PMP, BS, M.Sc., is the co-founder and previous President of the PMI Chapter in Turkey, Program Director at Space & Defence Technologies Co., a part-time instructor at Middle East Technical University. He has 20 years of experience in hardware and software development projects, in the aerospace and defense industry. Mustafa established the PMO at SDT Space and Defense Tech and co-authored the book: Project Management Analytical Approaches. He’s also a speaker atPMI Global Congress and various international seminars. Mustafa writes about program management and risk management.